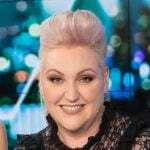 Meshel Laurie Tim Ferguson bullying: How long ago is too long? EXCLUSIVE Meshel Laurie: "I have been accused of bullying once in my life." Should there be a statute of limitations on bullying behaviour? Should there come a time where we acknowledge that a person who was guilty of bullying in the past no longer behaves in that way, hasn’t behaved in that way in a very long time, and so should not be subject to punishment and public shaming for it now? This is a question I am genuinely afraid to ask, because it’s the kind of enquiry that elicits fierce opposition in our current cultural configuration. Please believe me when I tell you I ask it, not to spark debate, nor to create a hideous social media backlash for myself, but because I honestly don’t know the answer. I try to think it out again and again and I can’t seem to come to a conclusion that makes sense and that doesn’t victimise someone. I can’t find a way through it that doesn’t feel like bullying in and of itself. The emotional response of people who still carry the scars of bullying is completely understandable. On the one hand, I see an argument along the lines that where the injury still exists, the perpetrator is still guilty. On the other hand though, I believe fundamentally in the idea of change, or what Buddha called “Impermanence”. I believe and in fact can observe quite easily with my own two eyes that everything in this world, every mountain, every blade of grass and every person is constantly changing. I have changed a great deal myself over the last decade or so, as a result of a lot of work I might add. I wanted to be a better person. I often say that if my workmates from the early 2000s and my workmates from last year had to describe me, they would come up with two very different lists. I would not expect the early list to be too flattering. All I can do now is be a better person than I was then. Is there a chance though, that no matter how angelic my performance from now until the day I day, my life could be derailed at any moment by those two people popping up and telling their version of that moment 16 years ago? And if so, is that reasonable? What if they make it sound worse than it was? Add a bit of mayo as they say? Will anyone check for context or for the recollections of others who were there? Or will it just be stacks on and people tweeting their sadness that another person they liked on the tele has turned out to be a monster? Tim Ferguson. Image via ABC. As you may have guessed, I’m particularly worried about these questions at the moment because of the recent Tim Ferguson story. It upsets me because he’s been an idol of mine since I was 13. It upsets me because he knew that when he treated me like a peer and offered encouragement and guidance to me when I was a young comedian. It upsets me because the kind of abuse he perpetrated against Candace Sutton was a big part of the persona that attracted me and many others to him in the first place, and so I feel complicit in giving him the impression that it was funny and reasonable behaviour, and that he should keep pushing. Frankly, we loved that the persona wasn’t an act. In a world of fakes who treat their audience like idiots, the raw fearlessness of the Allstars was intoxicating. What you need to know about the original Doug Anthony Allstars fanbase is that we were a really deeply nerdy bunch of losers. They were cool and handsome, but we, by and large, were not. Their crowd was made up predominantly of guys with long stringy hair in trench coats, and chubby girls with acne. I’ll let you figure out which one I was, but just know that we were a group of creative teenagers with low self-esteem who worried we’d be virgins for life. The Allstars knew it and teased us brutally, which we loved. They didn’t bully us though. They challenged us completely explicitly to change the narrative about ourselves. They looked us in the eye and told us we could choose to be victims or we could choose not to be. In retrospect, as much older person, I see that abusiveness felt like one of the ways to prove I was not a victim. I don’t think that’s a useful attitude now, but I did then. I’ve grown out of it. I feel like a 26-year-old man with throngs of fans adoring him in part because of his skilful abusiveness could get carried away with himself a push it too far. Especially in a time when bullying wasn’t seen as the unforgivable hate crime it’s seen as today. Is it possibly that that young man, like the rest of our culture, could have matured. Is it possible he’s been a really different dude for a long time now? Most importantly, is it possible to acknowledge the mistake and the victim without seeking to destroy the reformed perpetrator? Believe me, if I thought for one minute that Tim Ferguson was a man who’d spent the last 30 years victimising women, I’d be dancing on his grave, but I know he’s not that person. He’s a nice man who was an obnoxious dickhead for a while in his twenties, and I say, he who’s never been an obnoxious dickhead, should go ahead and cast the first stone. 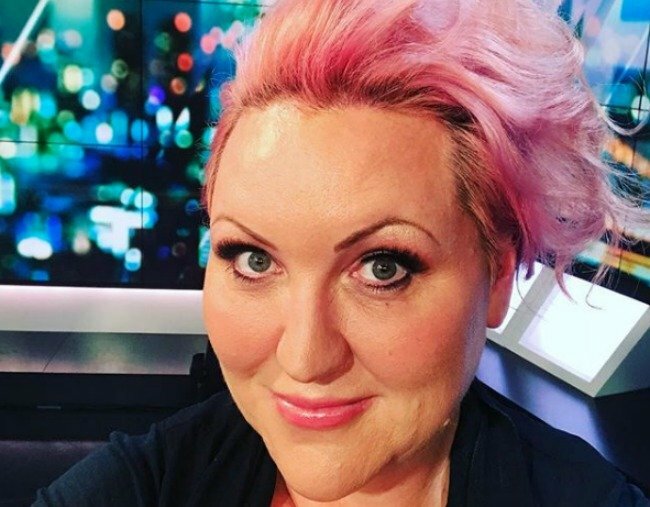 Meshel Laurie on everything Buddhism has taught her about the world.